In the aftermath of a G20 summit that marked shared prosperity and environmental sustainability cornerstones for a broader global development agenda, the question of how to shape this future has never been so relevant. Global economic activity increased almost sevenfold between 1950 and 2000, but that increased productivity has come at a cost, with rapid biodiversity loss, increasingly polluted air and waterways and climate disruption indicating to many that a new model for productivity must be found. 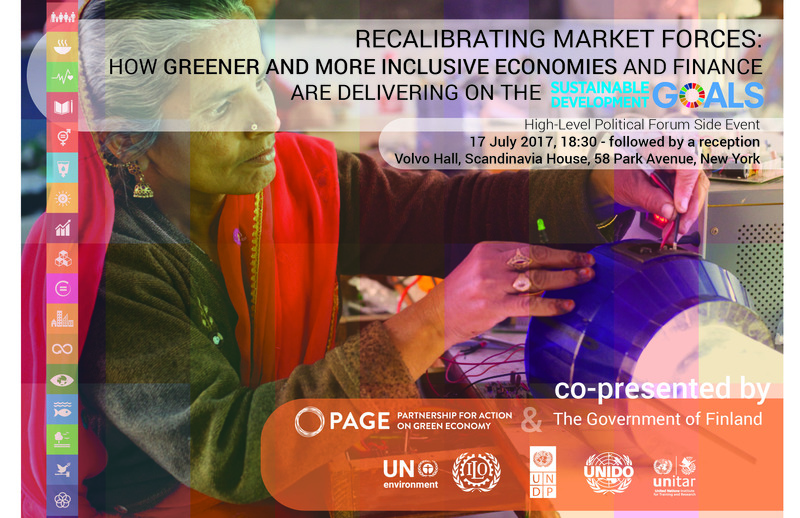 PAGE explored this issue at the side-event by covening leading international institutions, governments, the private sector and civil society to discuss pathways and options for radically altering the way market forces deliver sustainable and equitable economies. A first panel, focusing on the challenges and opportunities of unleashing green finance, featured speakers who stressed that the dual imperatives to protect the earth and spark economic growth are not necessarily at odds with one another. The second panel stressed the challenges of recalibrating market forces and explored policy options and institutional innovation as solutions. The event closed with special remarks from Achim Steiner, Administrator of the UN Development Programme. He mapped the evolution of green economy and PAGE as a concept and partnership designed to open new choices and options for countries, noting that the success of the partnership is driven by the strong country ownership expressed by the panelists and participating countries. He remarked that this kind of initiative is totally aligned with the Secretary General’s call for system wide reform of the UN system, and its ability to work together and deliver on the 2030 agenda. The event included speakers from donor governments, PAGE countries, UN organizations and the private sector and took place on Monday July 17, 2017 at Scandinavia House, New York City, and was attended by more than 100 people. See more photos on our Flickr account. Photos courtesy of UN Environment New York Office. 5-7 April 2017, Potchefstroom, South Africa - “Many officials lack good understanding of what the Green Economy means in practice and in the context of their work. It is will be very useful for them to have the concept linked to the key priorities and sectors in the country, as well as concrete measures and projects they are involved in.” – says Ms Najma Mohamed, National PAGE Coordinator in South Africa. To answer to demand for foundational training on green economy, an e-learning course specifically tailored to the context of South Africa is being developed by the Center for Environmental Management (CEM) at North-West University (NWU), South Africa, with the support of the United Nations Institute for Training and Research (UNITAR), and within the framework of the Partnership for Action on Green Economy (PAGE). Since the dawn of democracy, South Africa has transformed itself as an upper middle-income industrialized economy. Yet, economic development has not brought equal opportunities for everyone: income disparity is widening and unemployment remains high. Reliance on coal and natural resources results in high greenhouse gas emissions and a large ecological footprint. Recognizing these challenges, the South African government is set on transitioning towards an environmentally sustainable, climate-change resilient, low-carbon economy and just society. Relative knowledge and capacities for inclusive green economy (IGE) are needed at all levels of the civil administration to support the implementation of national and regional strategies and plans. One of the focus areas of PAGE in South Africa is capacity building and learning for green economy. With the goal of supporting the development of the green economy e-course, and more broadly – the realization of the potential for scaling-up IGE e-learning at NWU and beyond, UNITAR organized a three day training of trainers (ToT) on “How to design, deliver and evaluate effective e-learning?”. The training was attended by 24 participants engaged in teaching and learning of various unit of the NWU, as well as external stakeholders from government, civil society and the South African academic sector. The training was highly practice-oriented. “During the three days we went through the various stages of the development process of an e-learning course: from the assessment of the learning needs, to the evaluation of results. Now we understand the bigger picture and are better equipped to develop relevant and useful courses”, says Mr Reece Alberts, senior environmental legal and management specialist at CEM. At the end of the ToT several fully-fledged course concepts were developed, and their implementation onto the e-learning platform of the NWU had reached an advance stage. “We have never seen academics so involved with the e-learning platform before!”, exclaimed Mr Rassie Louw, who leads the Teaching and Learning Technology Unit at NWU. Feedback received from participants at the end of the ToT was also overwhelmingly positive: 100% of respondents stated that the event was completely or mostly useful, 90% indicated the ToT was relevant to their work and they will likely use the knowledge acquired in the future. Furthermore, the ToT served as a platform to establish a good working relationship between the members of the project team, who will be involved in the green economy e-course development. 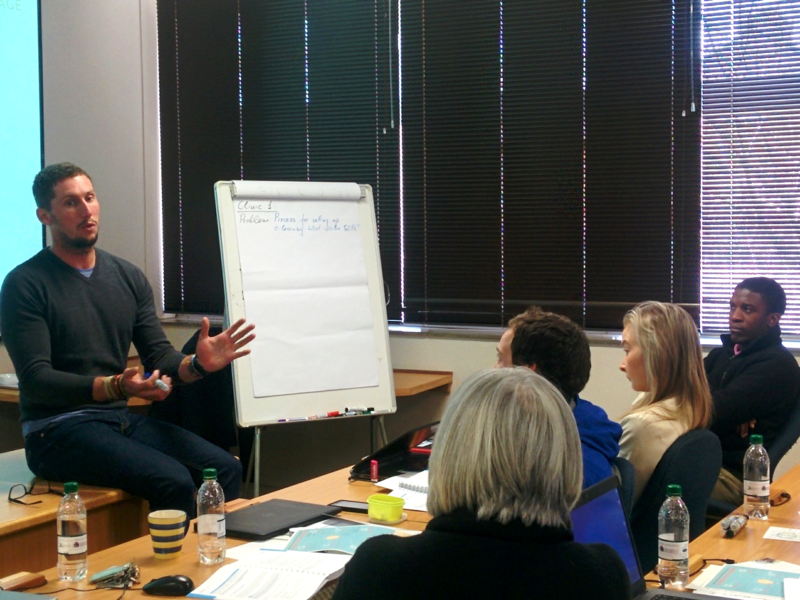 “We had very productive discussions as a team and set up a work plan for the course development. We understand much better now what the roles of each team member in this process will be going forward.”, says Prof Theunis Meyer, Chief subject specialist at CEM. As a first step, CEM will organize half-a-day workshop on 25 July in Pretoria to assess the learning needs and preferences of the course target audience. UNITAR will continue its collaboration with CEM-NWU, and will provide continuous methodological and technical support to the green economy e-course development, as well as - more broadly - the upscale and diffusion of high quality e-learning courses for continuing education in South Africa. PAGE has been working on building up a pool of local trainers that can deliver learning action on core green economy themes. 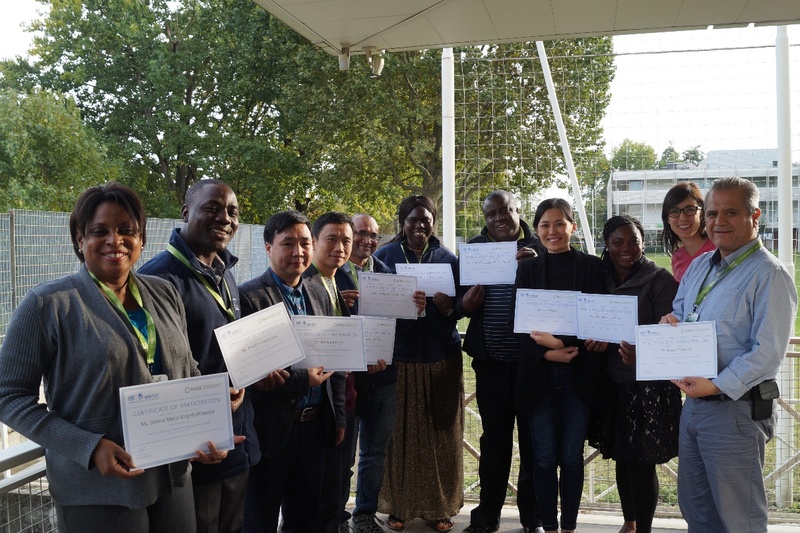 Many of the participants of the ToT in Turin in October 2016 are now actively advancing green economy learning in their home countries. Bat Buyantsogt, a professor of economics at the National University of Mongolia, for example, is carrying-out a feasibility study on integrating green economy learning into university curricula. Satchuda Arnachellum, another trainer, has supported the set-up of a partnership between the Civil Service College of Mauritius and UNITAR to run a green economy learning assessment; and Seynabou Diouf is playing a crucial role in developing a national network of green economy education and research institutes in Senegal. The future of economic leadership and growth is tied to green economy, according to United Nations Secretary-General, António Guterres. 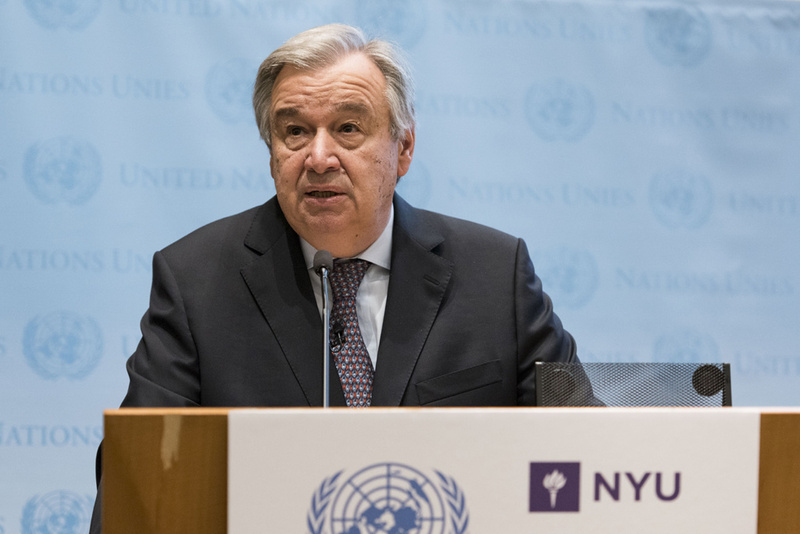 Mr. Guterres’ statement was part of a call to action on climate change delivered to an audience of students, academics, and business leaders on 30 May 2017 at New York University. These words highlight a growing recognition of the role that green policymaking will play in shaping economies of the future. Guterres furthermore outlined the downside of inadequately embracing green measures, explaining that “Those who fail to bet on the green economy will be living in a grey future [but] those who embrace green technologies will set the gold standard for economic leadership in the twenty-first century.” The message is clear: economies of the future will depend upon green policies and measures. The economic growth referred to by Guterres may be a result of the various opportunities that climate action provides, such as the creation of jobs, growth of key industries, and international cooperation to name a few. PAGE’s work in 13 countries, focusing on putting sustainability at the heart of economic policymaking has provided witness to these benefits first hand. PAGE’s partner countries, as well as nations across the globe, are increasingly recognizing a green economy pathway as key to addressing poverty and climate change, and to achieving the Sustainable Development Goals. As Guterres suggests, first movers towards this sustainable and resource efficient economic system will reap benefits of increasing profits, wellbeing, and environmental resilience. During June, Environment Month in South Africa, PAGE participated in two key national events – Sustainability Week and the Sustainable Industrialisation Forum. These events provided opportunities to reinforce institutional collaboration for improved green economy analysis and implementation, and to share the work of PAGE in the country. PAGE was one of 40 exhibitors at Sustainability Week, South Africa’s key sustainability platform devised as a multi-sectoral and cross-cutting forum for knowledge exchange, which was held at the CSIR International Convention Centre 13 – 15 June 2017. The event is reported to have attracted more than 1000 delegates and featured over 23 sustainability-oriented events. The PAGE exhibition presented key information through reports and videos, as well as a PAGE South Africa country brochure shared with delegates. The exhibition brought together a broad range of stakeholders from public sector institutions, the private sector, and civil society, both from South Africa and other African countries. There was a marked interest in PAGE as an inter-agency UN programme, as well as in the country assessment, training, and capacity building opportunities PAGE provides. While a great opportunity to showcase the work of PAGE in South Africa, interactions at Sustainability Week also highlighted the need to expand communication around the work of PAGE in South Africa. Trade & Industrial Policy Strategies (TIPS), in partnership with the South African Research Chair in Industrial Development, based at the University of Johannesburg, and in association with the Green Economy Coalition (GEC), convened its 2017 Annual Forum from 13-14 June 2017 under the theme, Industrialisation and Sustainable Growth. The Forum is a platform for researchers, policymakers and other stakeholders to present research and engage in dialogue on policy-relevant issues. 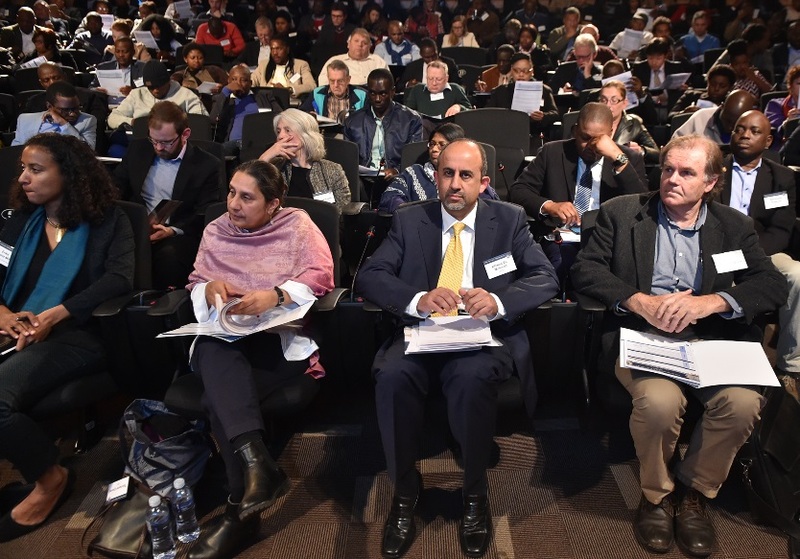 The event, hosted at the Development Bank of Southern Africa, attracted more than 170 delegates from government, business, civil society, labour, research and academia and included high-level representation from the Department of Trade and Industry. During the programme, there were two presentations which shared findings of the South Africa Green Economy Industry and Trade Assessment (SA-GEITA), being undertaken by TIPS under the auspices of PAGE. TIPS researcher, Christopher Wood delivered a presentation entitled, A Green Industry and Trade Analysis for South Africa while Bhavna Deonarain and Kelello Mashiane from TIPS drew on the SA-GEITA for their presentation, Transforming South Africa’s Transport Sector for Sustainable Development. Both presentations gathered interest and delegates requested access to the SA-GEITA once completed. There was also an affirmation from the audience that the level of green technological and industrial change presented an opportunity for expanding South Africa’s technical base for manufacturing green goods, and that the assessment assisted in identifying opportunities for developing priority green industrial segments. Nanjing, Jiangsu Province, China, June 5, 2017 – The workshop on “Unlocking South-South Trade in Environmental Goods and Services in Jiangsu” was held in Nanjing as part of the newly launched Green Trade Project under the framework of Partnership for Action on Green Economy (PAGE). The workshop convened around 50 participants from local governments, business associations, environmental companies, international organizations, and environmental NGOs. Key issues discussed included global and national trends in trade in Environmental Goods and Services (EGS), Jiangsu’s experience in trade in renewable energy and environmental technologies, the implications of rising global value chains of EGS, as well as opportunities and challenges of expanding green trade with developing countries. 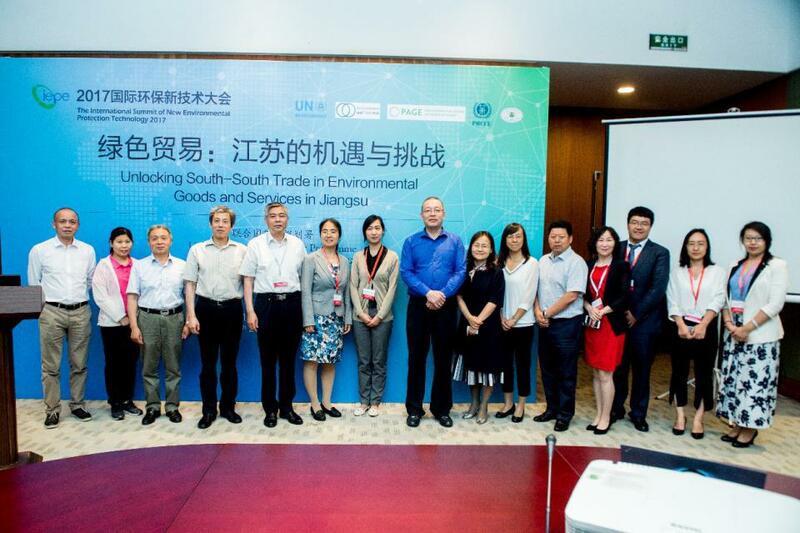 The workshop was jointly organized by the Environment and Trade Hub of UN Environment on behalf of PAGE and Policy Research Center for Environment and Economy of Ministry of Environmental Protection (PRCEE) of China, in collaboration with Jiangsu International Environmental Development Centre (JIEDC). Keynote presentations were delivered by representatives from UN Environment, PRCEE, the Environmental Protection Department of Jiangsu Province, the Department of Commerce of Jiangsu Province, Jiangsu Association of PV industries, Global Value Chains Institute, and Shanghai University of International Business and Economics. At the event, Ms. Liu Jianlin, Chief Engineer (Deputy Director-General) of the Environmental Protection Department of Jiangsu Province highlighted the importance of the workshop to Jiangsu’s Green Development and Green Economy Transition. She also anticipated that the workshop would further Jiangsu's understanding of green trade and South-South cooperation regarding EGS trade and value chain integration. Mr. Xia Guang, the director-general of PRCEE noted the potential of Jiangsu to upgrade EGS trade as a pathway towards Green Economy, given its fast-growing trade in renewable energy and strong policy commitment from the local government. He regarded the workshop as an important starting point for translating EGS trade potential into local level development opportunities. The workshop kicked off a new PAGE project to look at“The Role of Trade in Transition to a Green Economy in Jiangsu”. Jointly developed by the Environment and Trade Hub of UN Environment and PRCEE, the project aims to help Jiangsu evaluate and harness opportunities of green trade, summarize and share good practice, and explore how trade could facilitate the the transition to an Inclusive Green Economy and achieving Sustainable Development Goals (SDG). To achieve the goal, the project has been actively engaging with public and private stakeholders in the province, including the Environmental Protection Department of Jiangsu Province, the Department of Commerce of Jiangsu Province, Nanjing Municipal Bureau of Commerce, local business associations and environmental NGOs. Apart from the workshop, the project will also deliver a stocktaking study report on the development of green trade in Jiangsu with concrete policy recommendations. The project taskforce-an advisory body, was established to provide guidance and support for the implementation of project activities. Ulaanbaatar, Mongolia. Higher education is a competitive market. Universities find themselves in a race for staff, students, and research funds. While healthy to a certain extent, the American University Innovation Alliance warns that competition can “impede institutions' ability to achieve collective impact, diffuse innovation, and drive needed changes in higher education”. How does this play out in a country like Mongolia, where 16 public and 80 private higher education institutions are in operation? “Over the past 25 years each university has basically worked by itself,” states Prof. B. Tuvshintugs, Head of the Economics Department at the National University Mongolia. The last time he has seen major collaboration among universities was after the end of the Soviet Union when business schools were trying to come to grips with how to teach subjects like marketing and capital markets. Since a few months a new issue is fuelling cross-university collaboration. Economics and finance departments from different universities have picked up the concept of ‘green development’ and are jointly exploring options for incorporating relevant approaches in their course offerings. 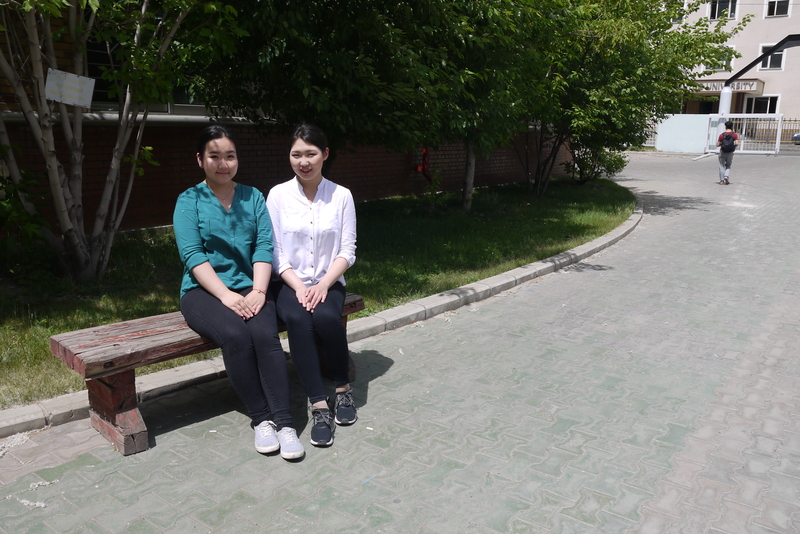 The engagement of the universities reflects a broader change in the development agenda of the country, encapsulated in Mongolia’s Sustainable Development Vision and the National Green Development Policy. 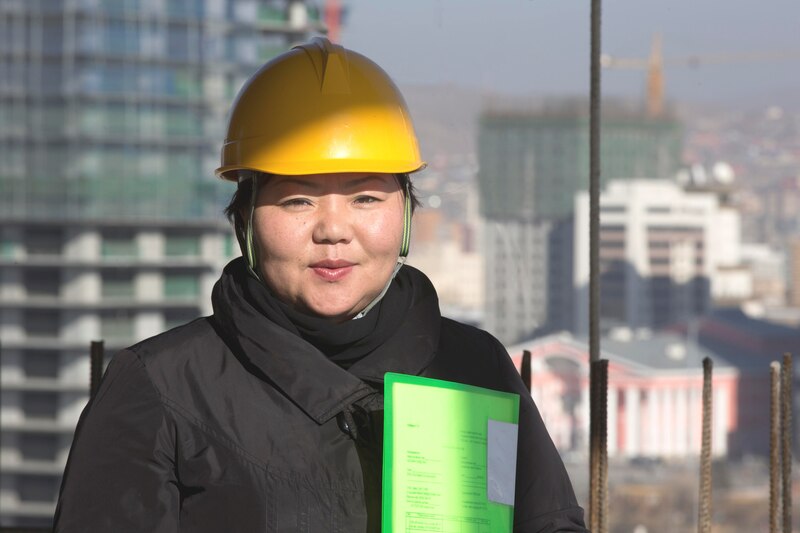 By 2030 Mongolia “aspires to be amongst leading middle-income countries with stable and democratic governance and a multi-sector economy, which preserves ecological balance”. Higher education plays a critical role in leading the social and economic transformation needed to achieve this vision. Ms. Bulgan, Director for Green Development at the Ministry of Environment and Tourism is advocating for a stronger role of higher education institutions in green development. Prof. Bat conducted a survey among 100 students and faculty about opportunities and challenges in teaching green economy. “The basic concepts are there, however there is a need to align university programmes with the skills needs of potential employers, such as commercial banks and government agencies,” explains Prof. B. Bat from the National University of Mongolia, who has conducted a feasibility study on integrating green economy approaches in university programmes. 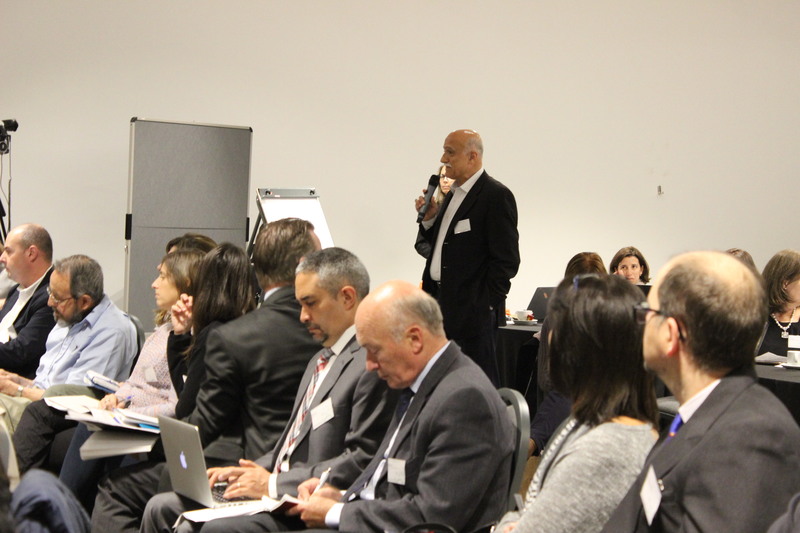 He stands in front of a group of 60 people from academia, government ministries and the private sector who have come to develop action plans for creating new courses on ‘sustainable finance’ and ‘green economy and macro-economic modelling’ and incorporate relevant issues in existing programmes. One of the findings of his study is the importance of continuous training for professors and lecturers. 68% of the surveyed students indicated that the most important factor that influences training quality is teaching methodology and lecturer’s skills. The Second Regional Exchange and Practitioners Dialogue Forum, organized by the Ministry of Housing, Territorial Planning and Environment of Uruguay (MVOTMA) and the Federal Ministry for the Environment, Nature Conservation, Building and Nuclear Safety of Germany (BMUB), and supported by members of the Inter-institutional Working Group on Green and Inclusive Economy, took place on April 26th and 27th in Montevideo, Uruguay. The forum was entitled “Putting Inclusive Green Economy into Practice in Latin America and the Caribbean” and gathered representatives from over 140 relevant public institutions, academia, the private sector, civil society, and 9 regional countries including Argentina, Brazil, Chile, Columbia, Costa Rica, Ecuador, Mexico, Paraguay and Peru. The forum opened with words from the Uruguayan Minister of Housing, Eneida de León, and the Uruguayan Minister of Labour, Ernesto Murro, who underscored the importance of collaboration and coordination in support of inclusive green economy. The forum provided a space for dialogue and knowledge-exchange regarding economic transformation and its potential to bring sustainability to sectors such as tourism, products and services, waste and resource management, industry and innovation, consumption and renewable resources. Addressing transformation paths in the light of the 2030 Agenda for Sustainable Development and the Paris Agreement, Professor Peter Poschen introduced green and inclusive jobs as a means to work towards the SDGs. Additionally, Professor Lucia Reisch, member of the German Council for Sustainable Development, introduced the use of behavioral economics to nudge policy makers towards a green and inclusive economy. One highlight of the forum was the Ministerial Reception, where the Uruguayan Minister for Energy, Carolina Cosse, Viceminister for Housing, Jorge Rucks, and National Director of Employment, Eduardo Pereyra, jointly announced the start of Uruguay’s partnership with PAGE. At the reception there was a clear indication of strong cross Ministerial support for the work of PAGE. Building on the green economy work completed under an earlier UN Environment project, the key ministries have a clear vision for Uruguay’s need to innovate and create value around its bioeconomy. 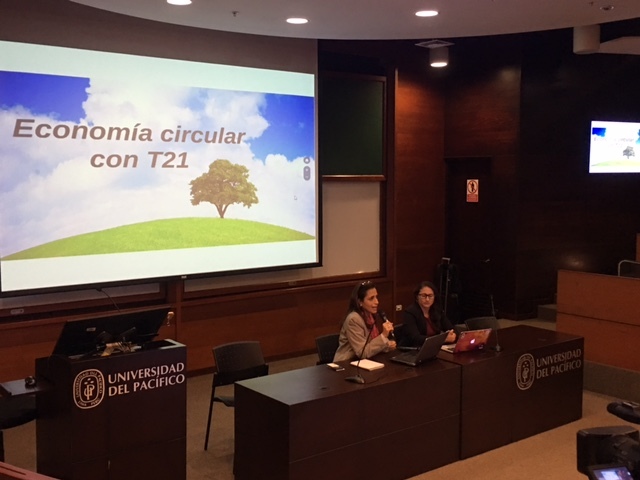 The event demonstrated that the concept of green economy has become more and more embraced in Latin America and the Caribbean since the first Regional Forum in 2013, with discussions focusing on the implementation of green economy measures rather than a debate over the concept itself. Furthermore, attendees expressed interest in cooperation and collaboration, such as through joining PAGE, and celebrated the increasing dedication towards a green and inclusive economy across the region.